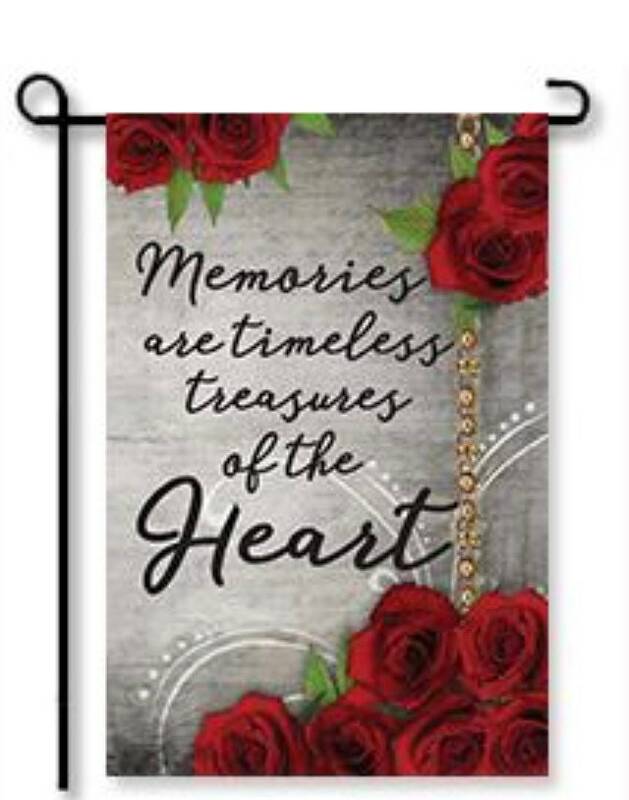 Memories Garden Flag perfect for a memorial garden in remembrance of someone so dear o your heart. 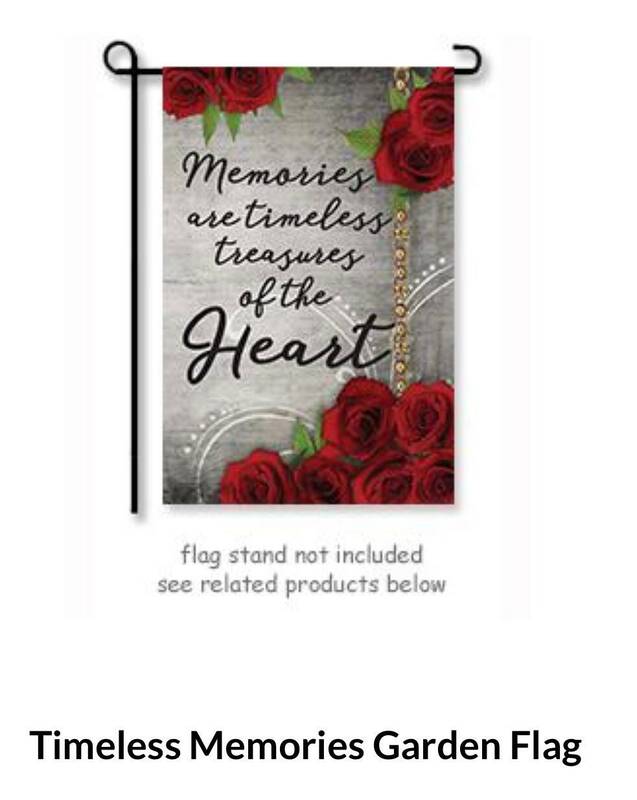 A perfect gift for someone who has lost a loved one to let them know you are thinking of them. *Purchasing as a gift? We will be happy to include a special note from you to them.